Weight: 200 gr glass jar. 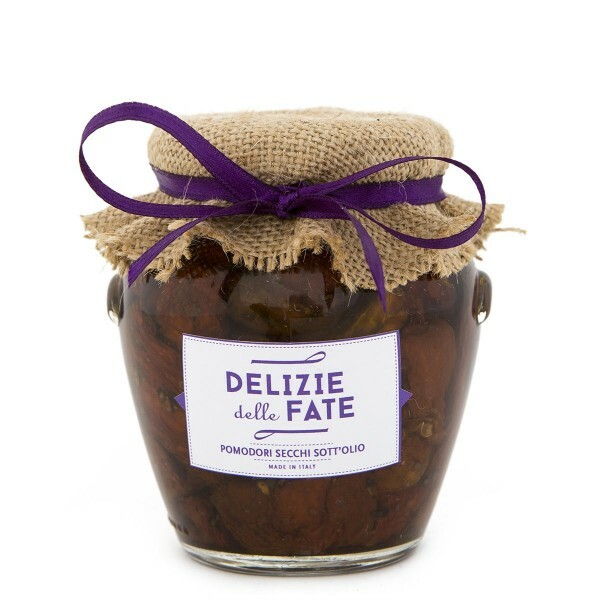 Ingredients: Dried tomatoes, extra-virgin olive oil, garlic, aromatic herbs, salt. Description: According to the traditional recipe, tomatoes are left to dry in the late summer sun, their resulting strong taste enhanced by adding extra-virgin olive oil and aromatic herbs. A perfect match for fish (tuna, sea bream, mackerel, anchovies) and vegetable (artichokes, pickles, olives) appetizers.